This itinerary offers a chance to experience the wildebeest migration; from Kenya’s Maasai Mara which is Kenya’s famous national park lying on the southern Kenya to Serengeti National Park in the Northern Tanzania. Capture the wildebeest & zebra migration in the Mara between July to October. The program is set to include 5 days in Nairobi including a visit to the popular Sheldrick Wildlife Trust famous for its protection of elephants & black rhinos & the Giraffe centre. A 3 nights stay at Kichwa Tembo in the Mara before flying to Tanzania where you will visit 3 national parks including; Tarangire, Ngorongoro & Serengeti. It is a safari of a lifetime! Day 1: Arrival day in Nairobi. Meet & transfer to your hotel; Fair View. Visit the Giraffe Center where you will get an opportunity to feed a giraffe. Followed by a visit to the famous Sheldrick Wildlife Trust known for its protection of orphaned elephants and black rhinos. Overnight Fair view Hotel. Fly from Wilson to Maasai Mara and experience the most of the wildebeest migration. Overnight Kichwa Tembo. Enjoy full day of game drive and the get the most of the Mara! Overnight Kichwa Tembo. After breakfast depart for a two hours drive to Tarangire National Park; one of the famous parks in Northern Tanzania. Famous for its variety of bird species, elephant, giraffe, lion and antelope. Arrive Maromboi Tented Camp for lunch. Afternoon game drive, leisure. Overnight Tarangire Safari Lodge. 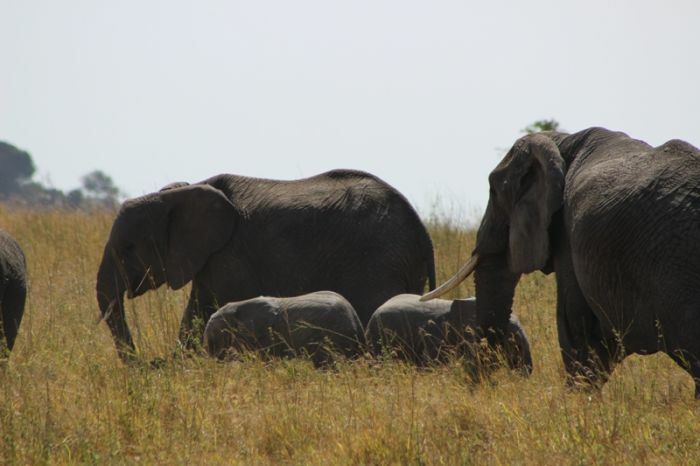 Day 8: Tarangire National Park. Full day game drive, overnight Tarangire Safari Lodge. After breakfast depart for a tour of the Ngorongoro Crater game drive and experience a vast variety of wildlife if lucky the bigh five in one day! Enjoy picnic lunch before heading to Gibbs Farm, Karatu for dinner and overnight. Day 10: Gibbs farm, Karatu at leisure. You could enjoy some optional cultural activies, hiking around the Karatu area. Get another opportunity to experience the migration in the Tanzanian side. Overnight Mapito Tented Camp or Serena Mbuzi Mawe. Fly Serengeti/ Arusha to connect with your evening flight to Nairobi.